Book now transfer from Kos airport. 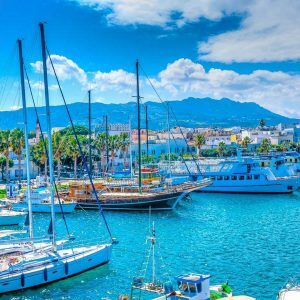 Kos is located very close to the coasts of Turkey, Kos island is the second most popular island of Dodecanese, after Rhodes. Due to its large size, Kos Greece keeps a balance in tourism development. Some spots are very organized, while others are almost secluded and away from mass tourism. 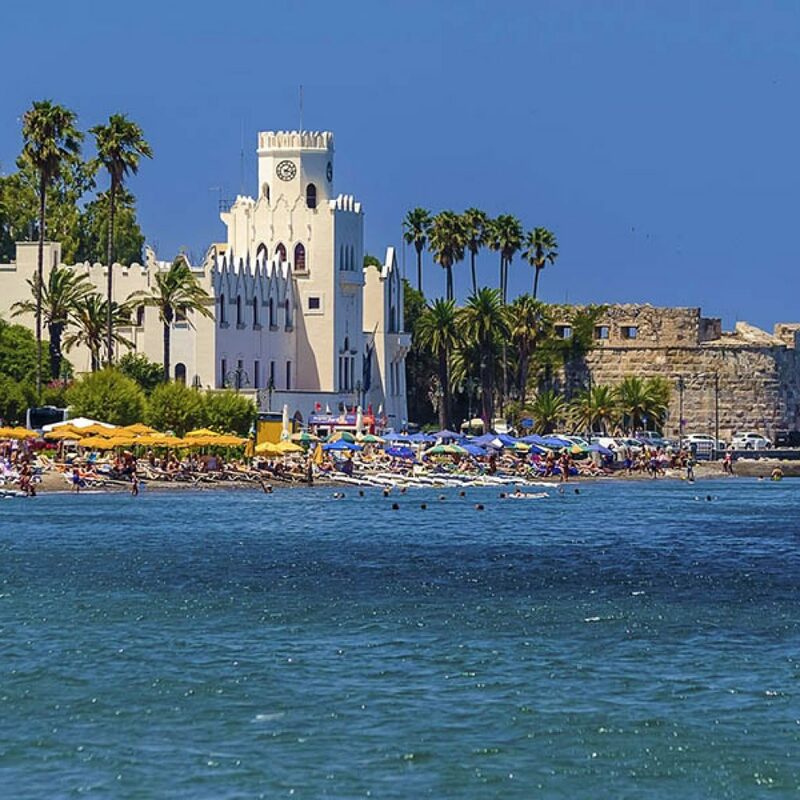 Kos Town is a mixture of Venetian and Ottoman architecture with interesting sightseeings, such as a Medieval Castle, an Ancient Agora, a Roman Odeon and of course the famous Asklepieion, an ancient healing centre, in short distance from the Town and great place to visit in your Kos holidays. The most tourist places are located on the southern side of the island, including Kardamena and Kefalos. This is where visitors can find large golden beaches with crystal water. 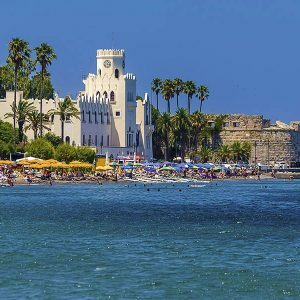 Kos island is the most popular destinations in Greece, Kos island is located on the south eastern side of the Aegean Sea. This is a place with both tourist and secluded spots. As Kos receives many charter flights from abroad, many places around the island are getting really busy in high season. However, there are also places staying away from crowds and keeping their relaxing atmosphere. Beaches in Kos vary from organized coasts with luxurious hotels and water sports centres, to secluded, naturism-friendly beaches. Transfers from Kos airport (KGS) to Agios Fokas, Kardamena, Kefalos. More limousine, taxi transfers see below.